L.U.R.I. are the initials of the artistic robot model from the art educators Die Bibliothekare, employed as an artistic-electronic component: “Learning Universal Robotic Identities”. Together with 4th grade students they realized a number of workshops and filmic stagings. Film excerpts on robots formed the starting point for the project. Using paper and electric circuitry the students built their own robot figures with illuminated LEDs. 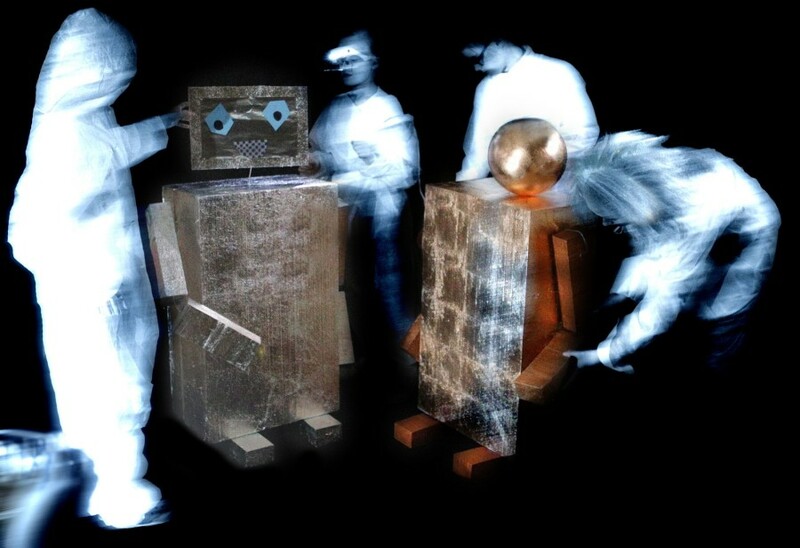 Then the work of filming began, with students assuming the role of engineers and programmers, interacting with two life-size L.U.R.I.s in front of the camera. The result was a filmic-artistic documentation about an artificial dialog between students and the robot models. The Volksschule Galileigasse in Vienna is committed to the principle of “Learning with Foresight” with respect to individualization, the empowerment of students, and the use of modern technologies with content. Die Bibliothekare 10001 realize innovative workshops and artistic interventions within the framework of their interdisciplinary art projects. With the aid of new media they invent scenarios about art, technology, and science in the context of digitality, history, and the future. Die Bibliothekare 10001 are the media artist and cultural mediator Karen Oldenburg and the film artist and cultural protagonist Kristina Havlicek.